*Due to wanting to maintain my quick shipping, personal customer service, and the meticulous set-up associated with my one-person operation, I have a weekly ukulele order cap which is the amount of ukuleles I can physically set-up in a week and not burn-out. Therefore, when the cap is met, my shop will go dark until Friday at 8am. I will update the cap percentage daily in case you want to jump on something before my shop goes dark and do not want to wait until Friday. -You know your uke is ALWAYS set up by Mim herself! I am passionate about ukuleles; but also about my family, rescue animals, ukulele fests, and my local community. I need to make time for them as well! Thank you for understanding! I have been selling and setting up ukuleles for over 7 years! I am known for my set-up, fast shipping, and customer service! I love the ukulele, ukulele players, and making ukuleles play like butter! I am a 5 star rated store on Facebook and Yelp! I am an ukulele dealer because I am an ukulele player, and I think you will be able to see how important that is when it comes to my passion, recommendations, and setup of this awesome instrument! I am most known for my meticulous ukulele-specific setup skills! I am a proud technician with an ear for perfection. I do set-ups on site at festivals and people often laugh that I hear things they do not. But if I hear it, it is not right, and therefore I must fix it! I believe you should not have to deal with an ill-sounding, buzzy, or ill-playing ukulele! 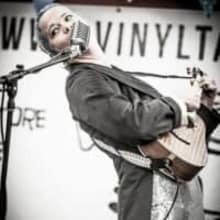 I believe that EVERY ukulele deserves a great setup, so whether your budget is $40 or $3000, your ukulele will get my personal skilled attention! I am one of the most respected dealers in the ukulele world because I stand behind every ukulele I offer and am highly picky about the quality and the brands I offer. If I put my name behind a brand and an ukulele it means something! I like having happy customers and will do my best to make sure you are completely happy with your ukulele! So buy with confidence knowing you are buying from an individual person who takes pride in every ukulele I sends out, I know every ukulele she sends out, and no ukulele ever does not pass through my hands! I am not a corporation who will drop-ship a product without ever touching your new ukulele baby, I am a craftsman who will fuss over your ukulele as if it were my own! If your purchase is for a child, arthritic hands, lefty, or any other special requests, let me know! Lefty is NOT a problem. Low G is NOT a problem. Buttons are a small extra fee. I have cases, but sometimes get behind listing them, so let me know if you need a case. Low/Ideal action is always taken care of in the set-up process, but I am also more specific if it is for a child or someone needing accommodation due to hand issues. Just let me know in the notes and I will take care of you! I have a brick and mortar store off the Blue Ridge Parkway in Floyd, Virginia that you are welcome to visit anytime! Just drop me a line that you are coming because since I am a "one-woman operation", if I am out for the day, sick, or my kids need me, I sometimes keep odd-hours, but can usually accommodate when you want to stop by! Reverb Messenger is always the quickest option.